Heavy duty tarps are handy to have around for many different reasons. People use these tarps around the house or even on work sites. If you have a leaky roof a heavy duty tarp can come in handy until you can get that roof fixed. Simply place the tarp over the roof and secure it in place until you have the time or the funds to have your roof fixed. You could also use heavy duty tarps to make yard clean up much easier. When cleaning the yard you can spread out your heavy duty tarp and load it up with all the leaves, trash, and debris lying around. It makes it much easier to transport the trash when you have it all on a large tarp. You could also use these tarps to cover expensive vehicles or boats when the weather is bad. 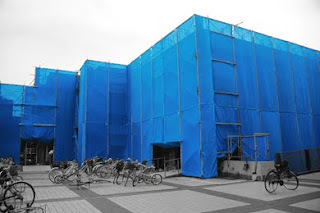 A lot of construction companies use these tarps to cover their equipment at the end of the day. It helps to protect the equipment from the elements. It also comes in handy for covering piles of wood or any other type of building material. You could also use these tarps to help shade a dog pen. Most people might not think of this but if you have a dog pen that has no top to keep the sun out a tarp is a great substitute. you simply spread the heavy duty tarps across the top of the pen and it keeps the sun from beaming down on your pet. It gives them shade and keeps the rain off of them. If you have a dog in a pen and he or she is exposed to the elements such as rain, sleet, snow, or even heat for too long it could be harmful to their health. This is why it is so important to have heavy duty tarps to cover the top of your dog pen. You can buy heavy duty tarps at a co-op, home improvement store, or even on the internet. You can buy them in different sizes, weight, and colors. The prices may vary depending on how large or small the tarp is that you buy. We are looking for heavy duty tarpaulin in Florida. Any ideas? Could use a tarp today.